It is dark for 50% of your life. Therefore, it stands to reason that the potential for violent encounters to occur at night is very high. 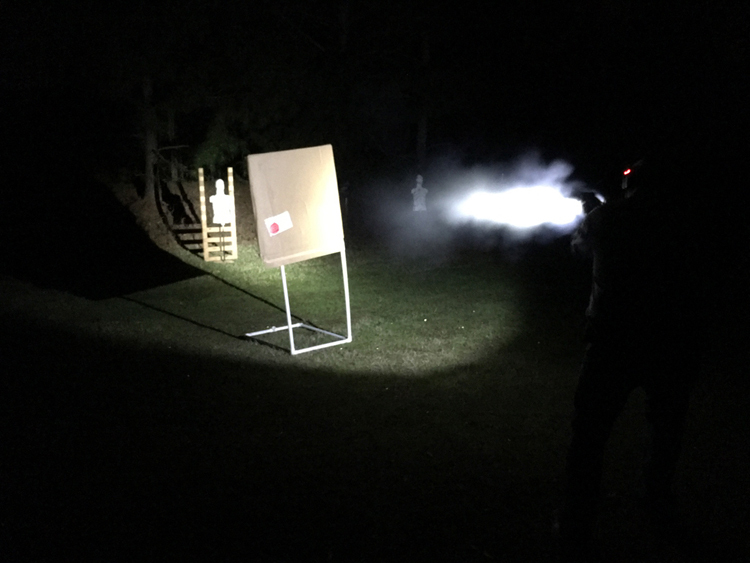 Do you know how to utilize your firearm in conjunction with a flashlight or weapon mounted light? 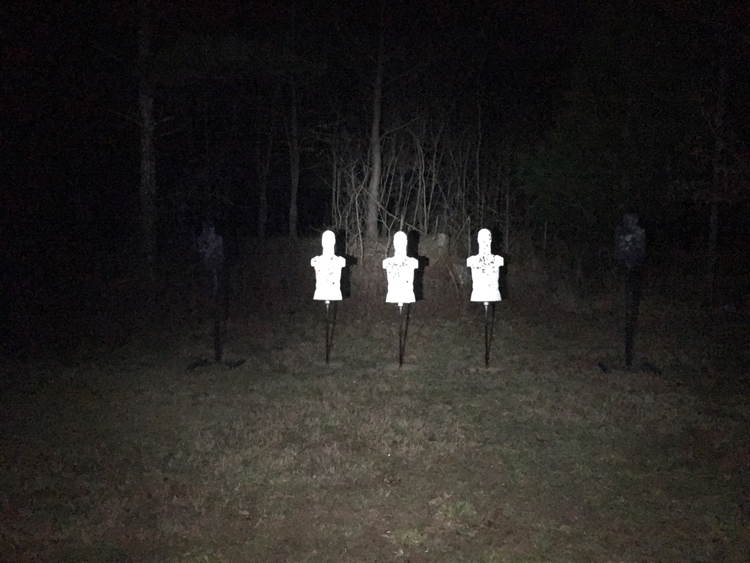 Have you ever fired your firearm at night? Do you know how the human eye adapts to be able to see better in low-light environments? 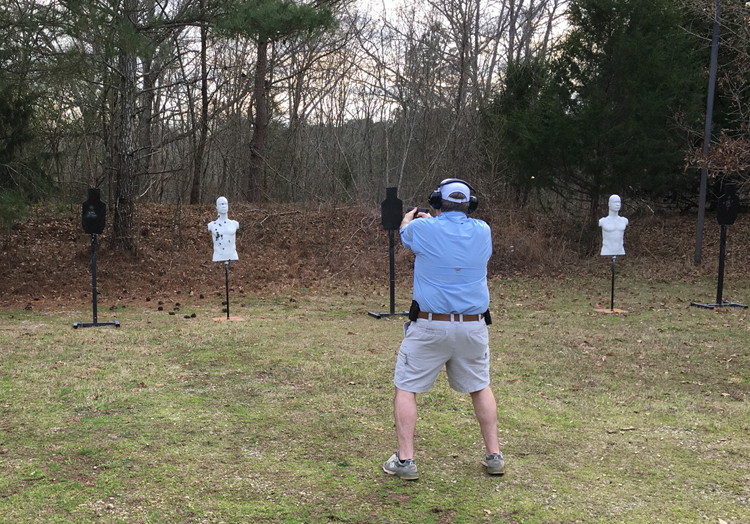 Do you know how to use your light as a force-multiplier and control your attacker's visual horizon? After this course, you will! We have already shared our belief that All Fighting Guns Should Come with Lights... However- the fact is: they don't! 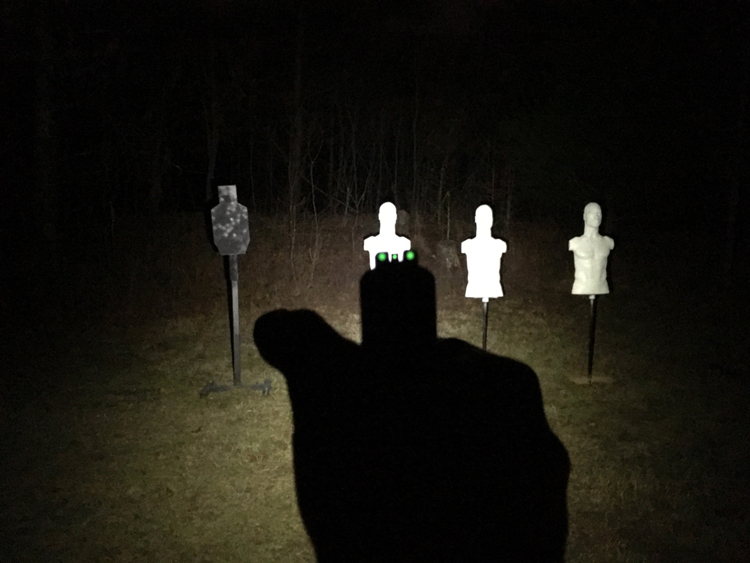 You have to be able to defend yourself with your firearm in low-light environments. 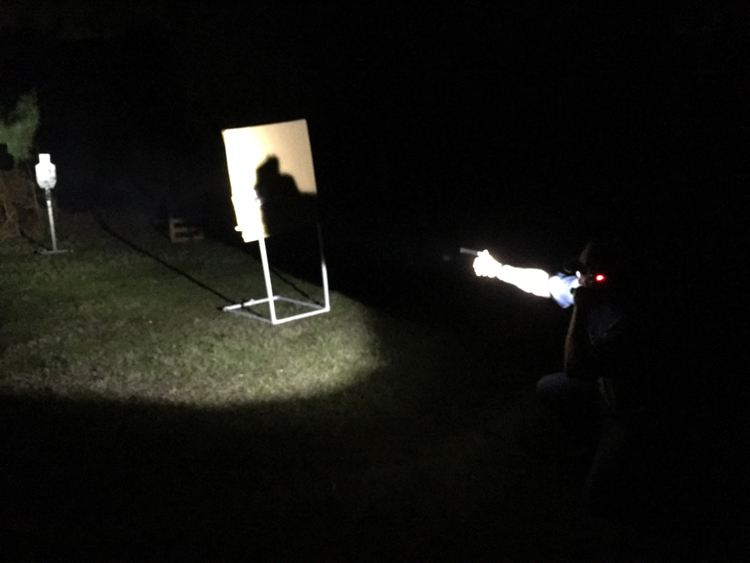 While I would always prefer to have a weapon mounted light, it is also vital to be able to utilize Free-Hand Lighting Techniques with a flashlight. We will cover the most common preferred methods of lighting techniques as well as the advantages and disadvantages of each method. 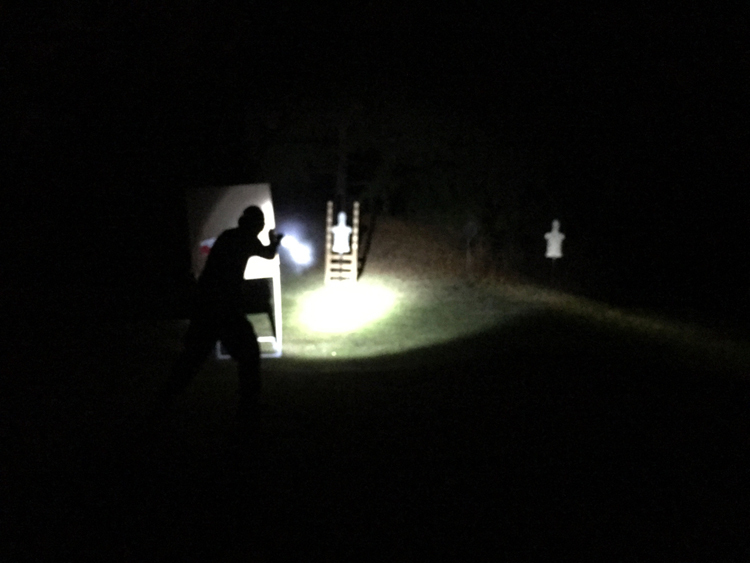 We will work on demonstrations with each other to understand how to control the visual horizon of someone with our flashlight, providing us the ability to create space or close distance on our attacker without them being able to visually track our movement. We will also work on how we can use our lights to not "paint" ourselves or "draw lines" from us to our attackers. 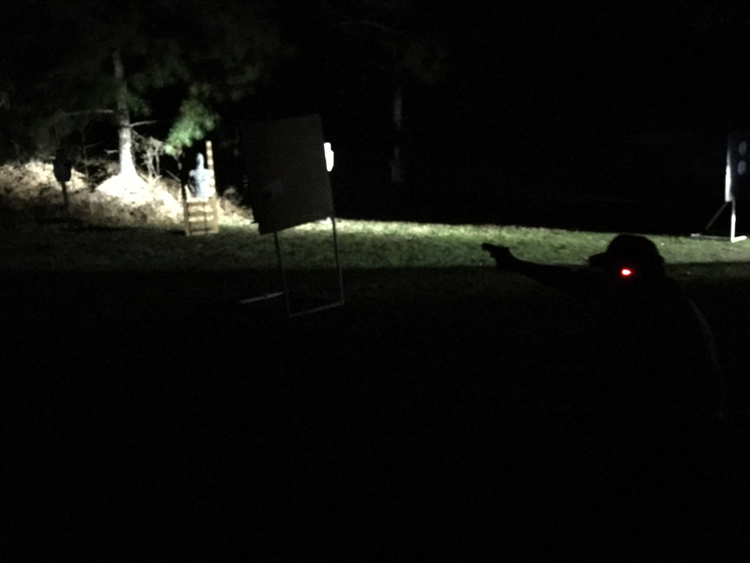 When used in conjunction with night-sights, we will have the ability to already have proper sight-alignment prior to illuminating our target. We will also work on how to manipulate our firearm (reloads, malfunction correction, etc.) with a foreign object (flaslight) in our hand. Course Length: This course is designed to be a minimum of four hours long. Round Count: Bring a minimum of 250 rounds... Remember, extra ammo won't go bad! Why Train For Dark Environments? 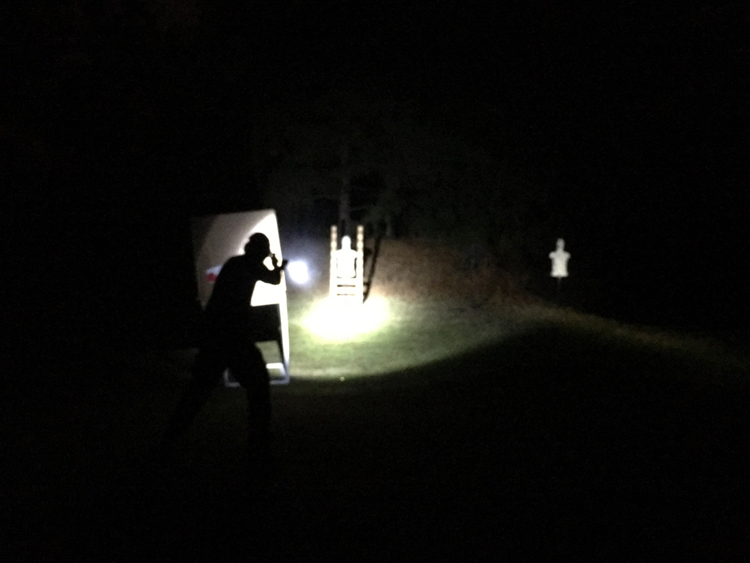 In our article about Illuminating Your Target Prior to Shooting It, we provided numerous tragic examples where people accidentally shot their loved ones because they didn't properly identify their target in a low-light environment prior to engaging it. As a result, they took the lives of their own friends and family members. Imagine the life of grief that follows, which could have been prevented by a $30 flashlight and some proper training.